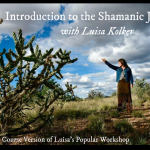 This audio course of one of Luisa’s most popular workshops will teach you the foundations of the shamanic journey technique. 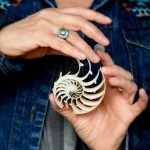 You will learn about the cross-cultural, earth-based practice of shamanism and be guided through your own experience of the technique. The course takes about 2 1/2 hours from start to finish. Soundtracks for Your Shamanic Journeys: This CD is an audio companion for your shamanic journeys, theta-brainwave-state relaxation, meditation, and personal healing. The 5 tracks cover Shamanic Journey Technique (Track 1), Calling in Power (Tracks 2 & 3) and drumming or drumming and rattling (Tracks 4 & 5) for the Journey itself.